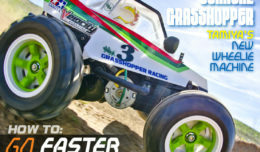 The full review of the new Mugen MTC-1 can be found in issue #28 of Velocity RC Cars Magazine. We’re the first to get a full, real track test on the new touring car. Can Mugen break into the highly competitive market on their first attempt? Many companies have had more than a decade of experience, so the challenge isn’t going to be easy. Remember Mugen does have more nitro touring car experience than most, so it’s not like they came in without doing their homework. If our first touch is any indication they started right. Now the challenge to win something begins! Here is our Video part of the review. Remember to download the issue (Available late Nov 2017) and read the full review. 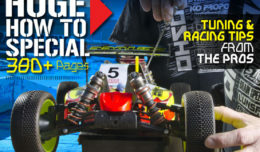 Subscribe (APP or PDF version) and save money!